These are the new Guru In-Line X-Safe Leads which take bomb fishing on commercials to another level!! 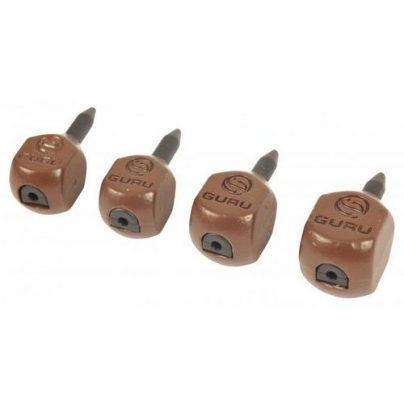 The in-line leads come complete with a soft insert as standard, which, when removed, can be replaced with the Guru X-Safe elasticated insert to totally revolutionise bomb fishing. The soft rubber inserts will simply push out and the Guru elasticated X-Safe insert will slide right back in and the "D" shaped base will lock flush with the base of the lead. They can then be quickly attached using a simple loop method which can be then secured with a tail rubber. Safe system and fish friendly. Anti-tangle. Quick change. Elasticated system cushions the hook hold in the fishes mouth. (Not included).